“In Medjugorje, the Lord spoke to me and I started to stand up. I was inside a small community, we were at church, there were other people and Jesus spoke to me” “I was praying and the Lord asked me, “Do you trust Me?”. I replied that I trusted Him and He told me, “Then walk”. I felt a tingling in the legs, saw the light and got up. Above photos are of Gigliola Candian. September 28, 2014 Reported in medjugorjetoday.tv. 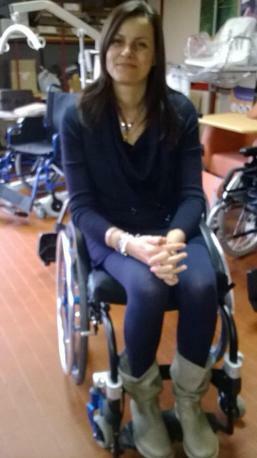 Gigliola Candian from Venice had multiple sclerosis and was confided to a wheelchair. In Medjugorje on September 13 she saw a great light, realized she could walk, and stood up. “To me, it is a miracle” says the 48 years old Italian who visited Medjugorje before, but never prayed for a healing. 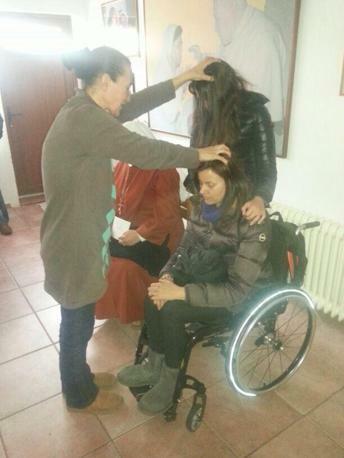 Medjugorje saw another inexplicable, spontaneous cure last Saturday when 48 years old Gigliola Candian from Venice, Italy, stood up from her wheelchair after 10 years, healed from multiple sclerosis. “To me, it is a miracle. I felt a great heat in the legs and I saw a light. From that moment I realized that I could walk” Gigliola Candian tells the Italian newspaper [Il Gazzettino]. 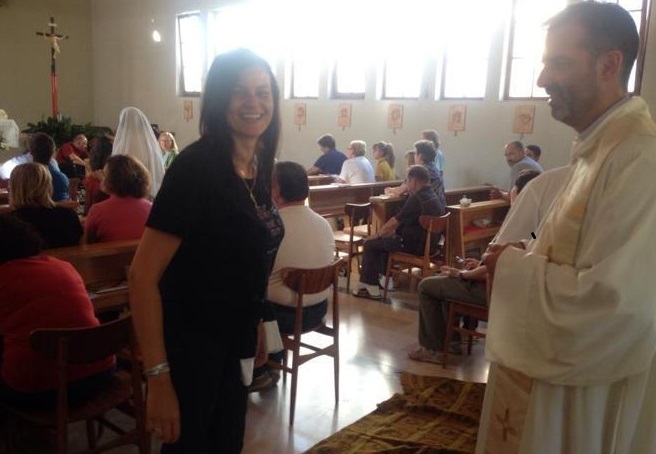 “In Medjugorje, the Lord spoke to me and I started to stand up. I was inside a small community, we were at church, there were other people and Jesus spoke to me” she tells the Venice newspaper [Corriere del Veneto]. “I was praying and the Lord asked me, “Do you trust Me?”. I replied that I trusted Him and He told me, “Then walk”. I felt a tingling in the legs, saw the light and got up, watched by everyone’s incredulous eyes. “I was never rooted in faith but I often went to Medjugorje because there is a different feel there, I feel good there. I feel pampered by the Virgin Mary” says Gigliola Candian. She tells that her illness was a tragedy for her, but one she had accepted with serenity. “I never asked the Virgin Mary for my healing” Gigliola Candian tells Il Gazzettino. In recent days, she has walked on her own in her house, done some short walks in her garden and, generally, improved day by day though muscles are still lacking in her legs. Visits from specialists are scheduled in the days to come, [Venezia Today] reports.